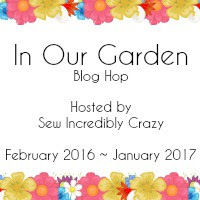 Amy at Sew Incredibly Crazy is hosting the In Our Garden Blog Hop. It's a really awesome blog hop and there's lots of creativity growing In Our Garden. 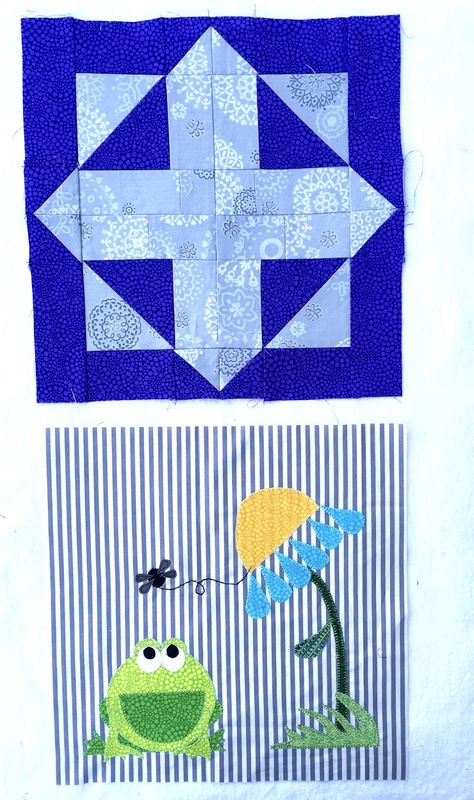 The March blocks, Blocks 3 and 4 are designed by Carol at Just Let Me Quilt. Her blocks are so whimsical and fun. You can see her blocks here and get the free pattern for them. Of course there's a giveaway too! I finished my In Our Garden Blocks 3 and 4 this weekend. I have fun making them. I think that flower is just gonna twirl right off the fabric. 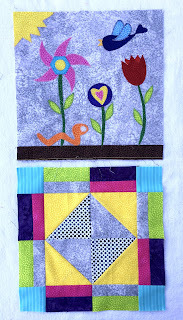 In case you missed my In Our Garden Blocks 1 and 2 from February, here they are. Amy at Sew Incredibly Crazy was the designer for them and these are my version of her design. My month to design is April. I've been working on those blocks too. They are turning out so cute. Be sure to come back April 1st to see them and get the free pattern. 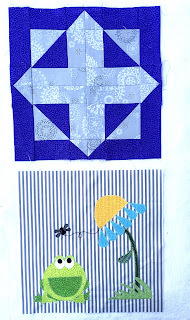 Every month, on the first day of the month, a new designer will feature 2 blocks, one is a traditional pieced block and the other is an applique block. Their pattern will be available for free during their month. There is also a Facebook Page and a Flickr Group for you to show off your blocks or see all the creativity growing from others. At the end of the month there will also be a linky party to show off your blocks and have a chance to win some awesome fabrics. I hope there's lots of creativity growing in your garden. I can't wait to see it. Your blocks are so, so cute! Can't wait to see your blocks!